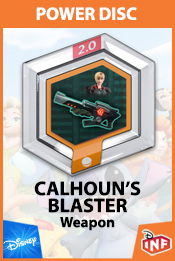 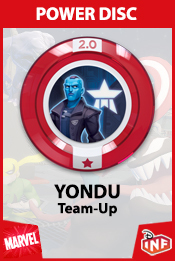 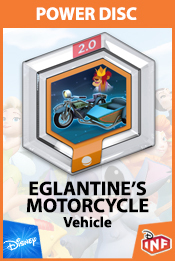 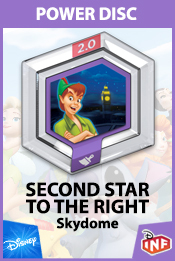 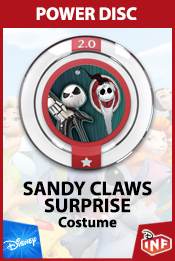 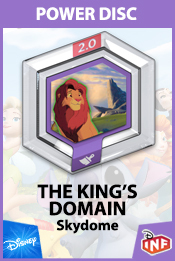 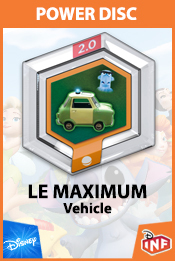 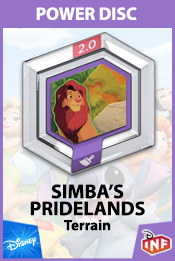 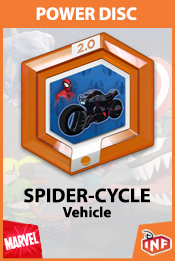 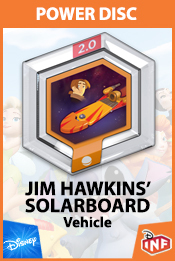 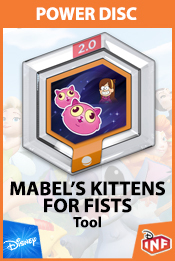 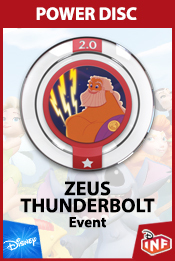 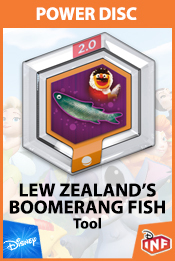 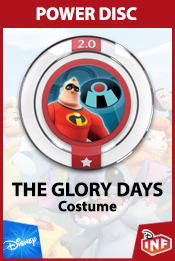 Power Discs are a supplement to your characters and gameplay in Disney Infinity. 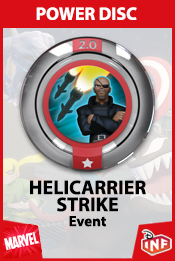 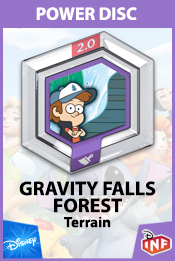 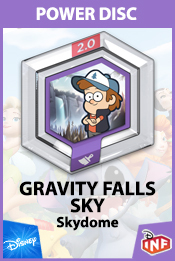 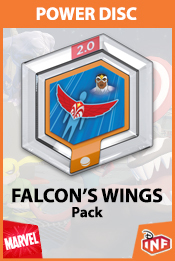 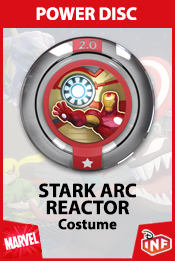 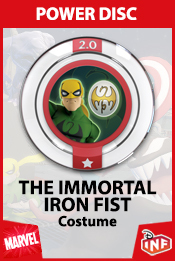 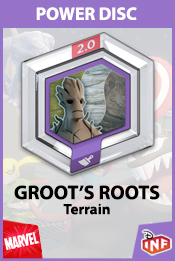 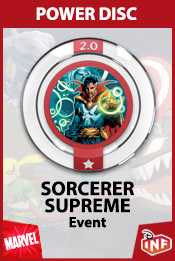 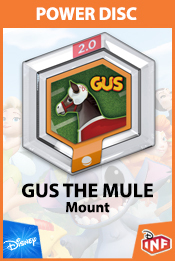 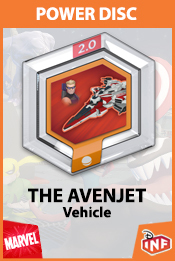 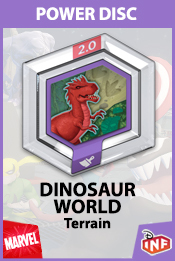 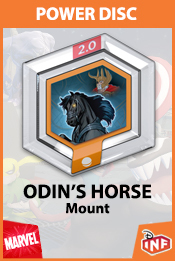 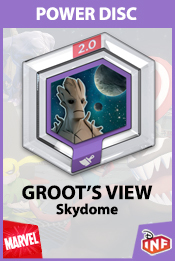 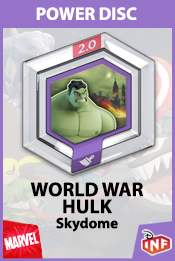 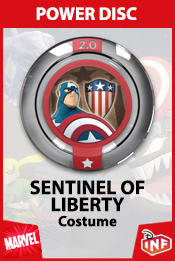 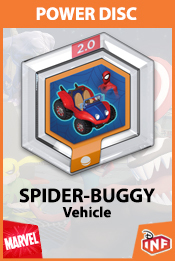 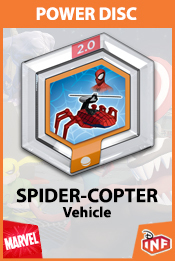 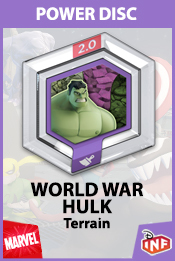 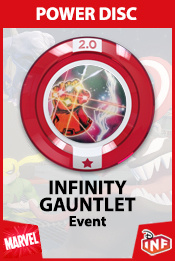 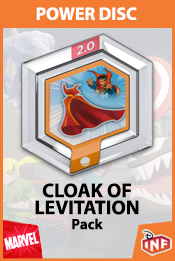 They are sold in blind packs of two and can be placed on your Infinity Base to enhance your game. 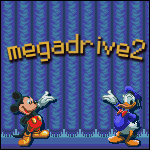 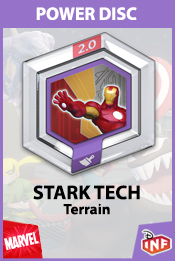 Two waves, (each containing 40 discs) are confirmed so far, the first will be Marvel themed, the second will be Disney themed. 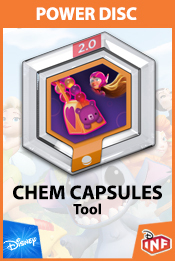 What is the difference between Hexagonal and Circular pieces? 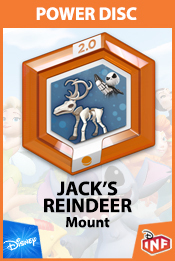 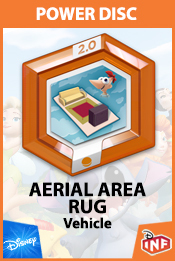 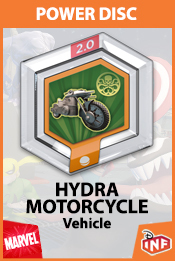 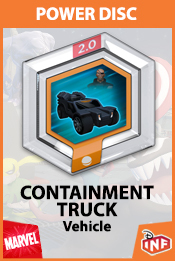 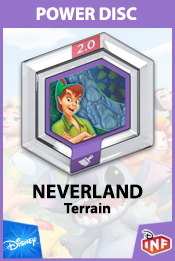 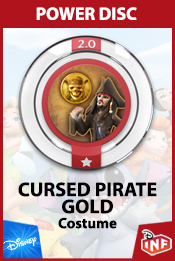 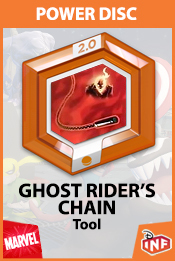 Hexagonal pieces unlock assets to your toybox. 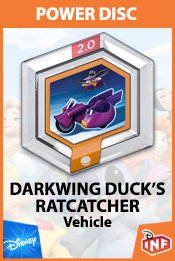 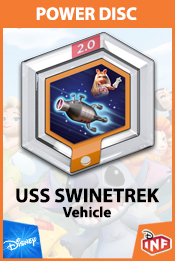 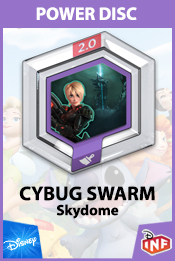 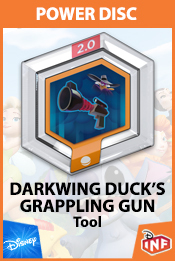 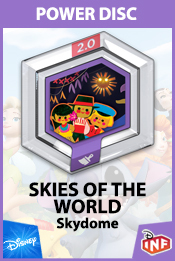 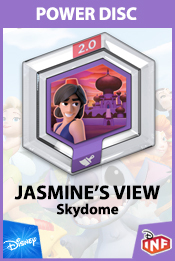 Purple discs unlock skydome/environment textures and Orange discs unlock a new mount, vehicle, tool or pack. 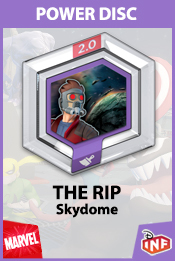 These are placed on the hexagonal spot on the Infinity base. 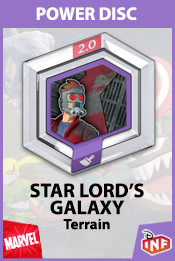 Circular pieces are character enhancements, and new to 2.0, they will also provide one of three different functions. 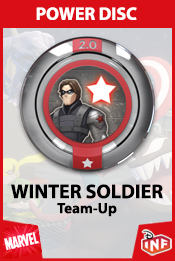 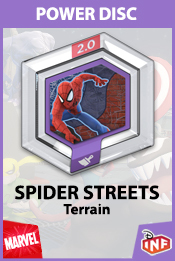 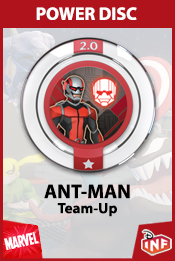 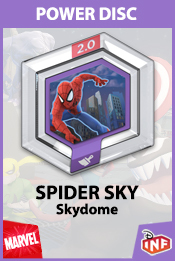 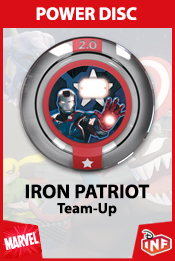 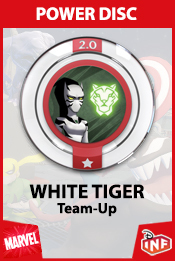 Either a special event to help assist your character during combat, a team-up disc for the ability to have a non-player character fight alongside you. 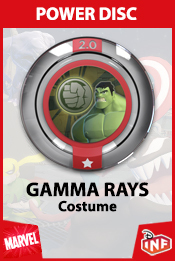 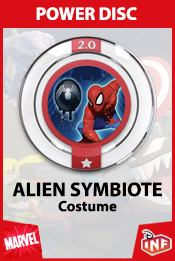 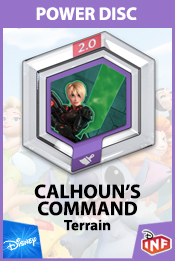 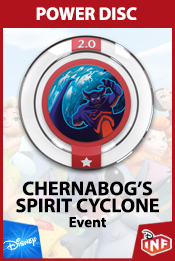 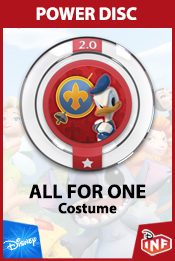 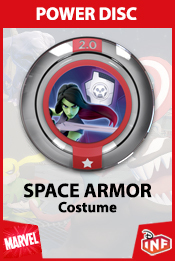 Or a costume change disc for specific characters, (note: costume discs provide a stat boost for all characters not affected by the costume change). 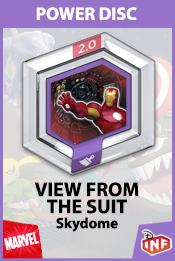 These are placed underneath a figure on the base. 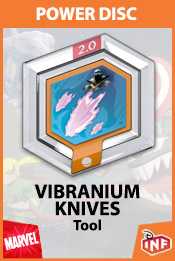 The following discs are not included in the first two waves. 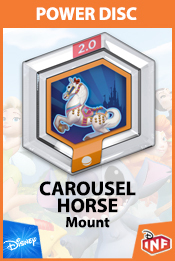 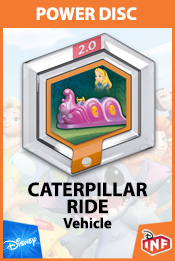 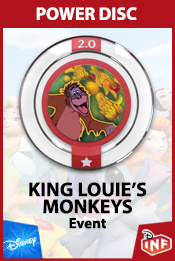 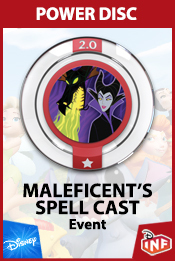 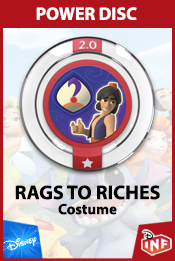 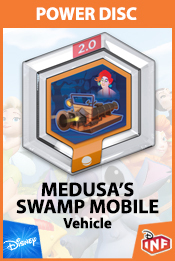 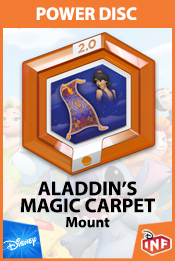 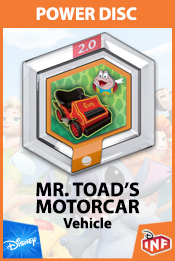 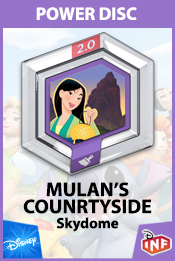 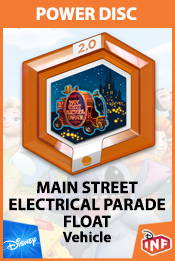 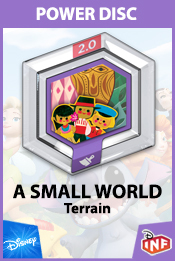 The Aladdin Discs will be released with a Toybox pack containing the Aladdin and Jasmine figures. 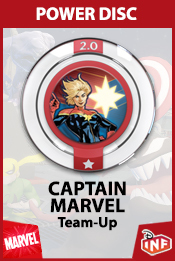 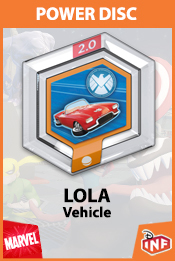 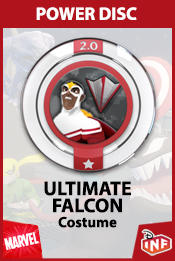 The Captain Marvel and Falcon discs will be released at a later date.